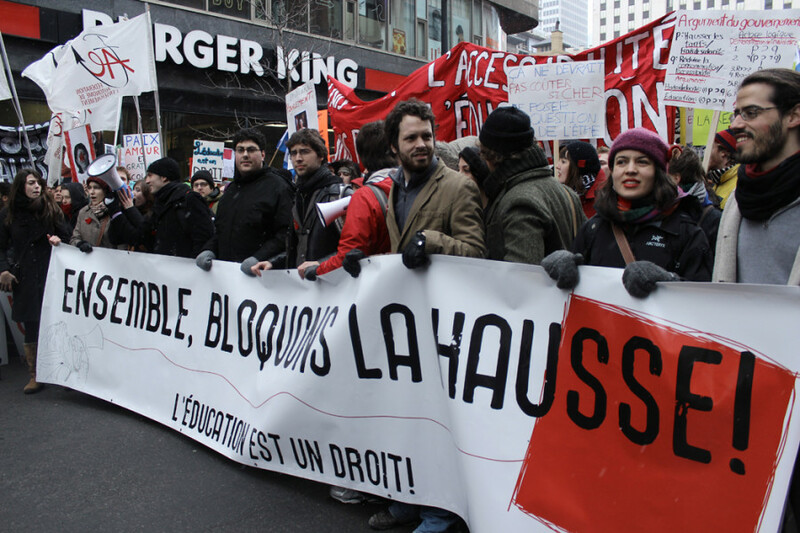 On Feb. 1, the Association pour une solidarité syndicale étudiante’s three-member Comité aux luttes sociales, a committee for social struggles, resigned en masse with the publication of an open letter to federation members outlining ASSÉ’s shortcomings—most notably a lack of ethnic and linguistic inclusiveness. The letter describes ASSÉ as an overly hierarchical organization rife with top-down pressures and riddled with cliquism, where anglophones, allophones and “racialized” members are made to feel like outsiders. Authors Myriam Tardif, Rushdia Mehreen and Beatriz Munoz identify themselves as “persons of diverse origins and languages.” They say that “relationships of dominance” were present when the organization interacted with “racialized” members of the committee. The letter also hints that non-white, non-francophone ASSÉ members are prevented from moving up in the organization. The letter, which also complains of ASSÉ’s hierarchical structure, ends with a list of recommendations to make ASSÉ more inclusive. In an email to The Link, Mehreen explained her committee’s decision to share the letter. “The resignation turned out to be public because the text in it also served as the reflection text for the Orientation Congress of ASSÉ,” she said. Mehreen also elaborated on her decision in a post on her personal blog. Asked about the letter’s allegations in a Feb. 4 interview, ASSÉ executive member Jérémie Bédard-Wien told The Link that he thought the letter “contributes to a healthy debate within ASSÉ,” adding that the letter would be discussed during the organization’s orientation congress in March. “We’re not threatened by these comments—we’re an open association,” he continued. Bédard-Wien responded to previous charges of racism within the Quebec student movement in a Dec. 1 article on Rabble.ca, saying, “Challenging racism within and outside is not our movement’s forte: I have no trouble admitting that we have a lot to learn.